Professor Viv Bennett CBE; is Public Health England’s Chief Nurse and is the principal advisor to the government on public health nursing and midwifery . She is PHE National Director for Maternity and Early Years. From 2007 to 2012 she was deputy Chief Nursing Officer for England and from 2012 and April 2015 she was joint Director of Nursing for the Department of Health and Public Health England. She is a registered nurse and health visitor. 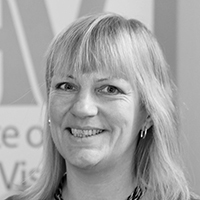 Viv is Head of the WHO Collaborating Centre for public health nursing and midwifery with focus on evidence into practice to improve prevention across the life course and on the nursing and midwifery contribution to improving outcomes in maternal and child health. Viv is a visiting professor and fellow at Kings College London lecturing on public health nursing and on leadership.